Lucky me, at the Arizona Nationals at Wild Horse Pass Raceway just outside Phoenix (my home track), I was treated to an extended visit with the newest member of the John Force Racing Team – Brittany Force. I shot a few pictures of the crew between rounds (remember Brittany was runner-up at this race!!) and during warm-up time. 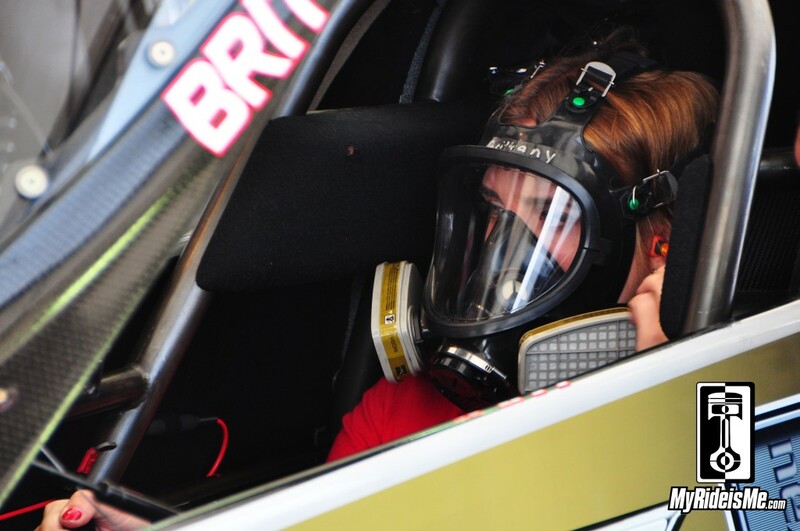 Believe it or not, this is Brittany right before 8000 horsepower fires behind her. You may be correctly asking yourself… how does she look so good in the middle of a race? It gets better from here!! Finally, I ask you, would you look this happy if you’d just lost in your first final round? Well, she’s been brought up right by the best in the biz… her dad John Force. 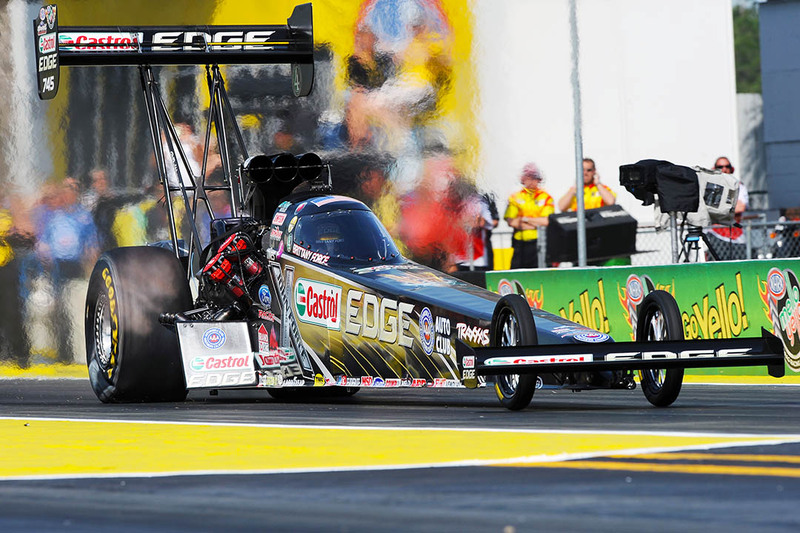 Brittany had tons to be happy about today, even without the Wally… “I really wanted to beat the champ, Tony Schumacher. After the race, he told me good job and gave me a big hug. It’s awesome to what great people I work with and compete against.” Oh-for-two against Tony, Brittany got her first win against the Sarge when he went up in tire smoke in the second round. Brittany met another friend, and a dude tearing up the quarter mile, Antron Brown in the final. “Antron’s the coolest” she says… But I bet he’s on the short list of folks she still wants to beat on the track! While Brittany, like Courtney and Ashley Force before her will give full credit to their dad for showing them the ropes, I think Brittany’s got her own style. She knows how to take care of the fans that support her, but unlike her dad, she’s on Twitter and Instagram. “My dad’s still got a flip phone!” Well, nobody’s perfect, even after 16 championships! Looking beautiful dear both of you the car and you.